06 Nov Does your B2B eCommerce Have Integrity? Huh? What does integrity have to do with B2B e-commerce. Is this just a ploy to read your blog? Yes, I am trying to be clever (trying being the key word). 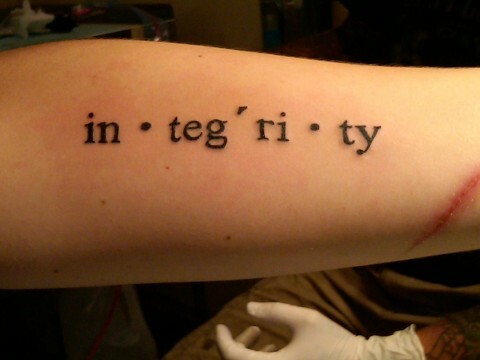 But I also heard this weekend at church that the word integrity has a derivation that leads back to being integrated on the outside and the inside. Great relationships are built on honesty, and on individuals that desire to have integrity. In B2B e-commerce, it is absolutely key to be integrated on the outside (in our customer experience) and on the inside (our back office). I know, clever tie in. But it also happens to be true. Your e-commerce has to be integrated throughout the entire experience. Not just in technology, but integrated into the relationship that you have with your customer. So, that when the customer experiences your site, they feel like they are experiencing an extension of your organization – from sales to service. P.S. I really do believe that we should be seeking to create relationship-centric experiences for our customers. However, because of this blog I am on a quest to find as many cheesy relationship anecdotes I can relate to B2B e-commerce. Sorry.